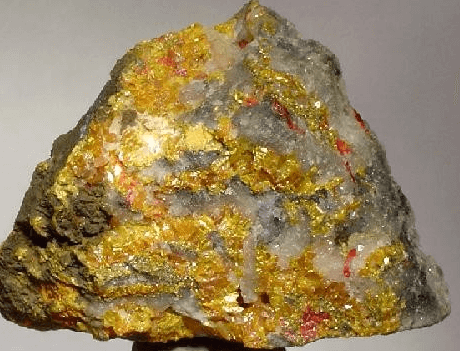 The successful cyanidation of gold ores containing appreciable amounts of arsenic or antimony sulphide minerals such as orpiment, realgar, and stibnite is usually difficult or even impossible. Extractions are low and the solutions soon become ‘foul.’ The gold in such ores could be free and uncoated, and no trouble in dissolving it in clean cyanide solutions would be expected. However, some arsenic and antimony sulphide minerals decompose to some extent in alkaline cyanide solutions to form complex reducing compounds which retard or prevent gold dissolution. It is probable that if the decomposition of these minerals could be prevented, or if the effects of their decomposition products could be overcome, then cyanidation would be practical. 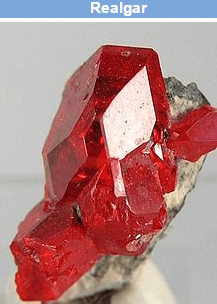 Realgar, orpiment, and stibnite are attacked by alkalis forming arsenites, thioarsenites, antimonites, and thioantimonites. These compounds act as reducers and consume oxygen dissolved in the cyanide solutions, and in this way retard the dissolution of gold and silver. Clennell refers to a method described by Longbottom for treating gold ores containing stibnite. This calls for cyaniding in a neutral or very slightly alkaline solution which is purified by the addition of a powerful oxidizing agent. Lead acetate is sometimes used to throw down sulphide. To determine the relative rates of decomposition of arsenopyrite, orpiment, realgar, and stibnite in cyanide solutions of various alkalinities. To determine the nature of the decomposition products. To determine the effects of these minerals on the rate of gold dissolution. To investigate means for correcting the deleterious effects of the minerals in cyanidation. The decomposition of arsenic and antimony sulphide minerals at pH 12 was considerably greater than at pH 10; orpiment was the most readily decomposed followed by stibnite, realgar, and arsenopyrite, in that order. The amount of arsenopyrite decomposed in six hours, even at pH 12, was small. Products resulting from the action of alkaline cyanide solutions on orpiment included S=, AsS3=-, CNS-, S2O3~ AsO3=, and AsO4=-; the decomposition of stibnite followed a similar pattern. In the case of realgar, the first reaction is likely oxidation to orpiment. 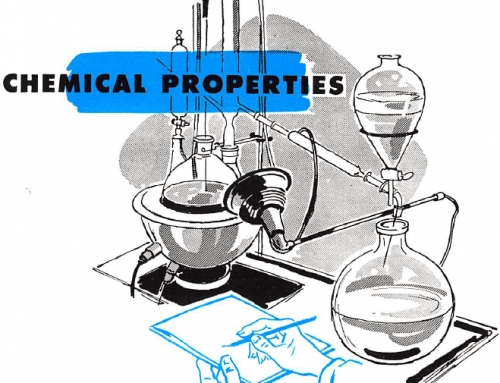 Except for these cyanide solutions which contained sulphide sulphur. The amounts varied from a trace up to 0.033%, depending on the mineral tested and the alkalinity. 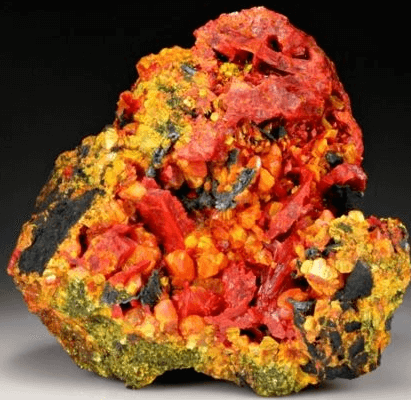 Orpiment with Realgar… Orpiment is a deep orange-yellow colored arsenic sulfide mineral. Chemical formula As2S3.Often found with realgar and stibnite. Arsenopyrite had no effect on gold dissolution at pH realgar had no adverse effect on gold dissolution at pH 10 or 11 but at pH 12 the retarding effect was significant. Orpiment was detrimental to gold leaching, the retardation becoming more pronounced as pH increased. The extractions in 48 hours at pH 10, 11, and 12 were 73, 44, and 19%, respectively, as compared with over 95% in the case of the control tests. The effect of stibnite was even more marked; the respective gold extractions in 48 hours at pH 10, 11, and 12 were 67, 34, and 1.6%. In all cases where retardation of gold dissolution was observed the solutions contained soluble sulphide. The rates of oxidation of thioarsenite, thioantimonite, and C.P. sodium sulphide, in cyanide solutions of pH 12 in the presence of a small amount of lead nitrate were compared. The thioarsenite solution was much more stable than the sodium sulphide solution, while the thioantimonite solution was the most stable of all. inhibiting effects of orpiment on gold dissolution were entirely overcome; the solutions contained no soluble sulphides. 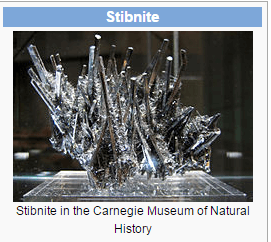 The amount of lead nitrate required to overcome the detrimental effects of stibnite was 0.30 lb. 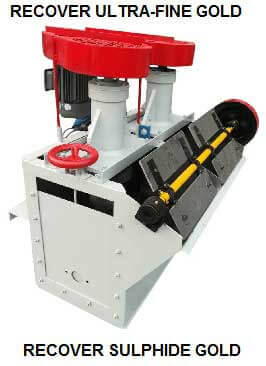 per ton. 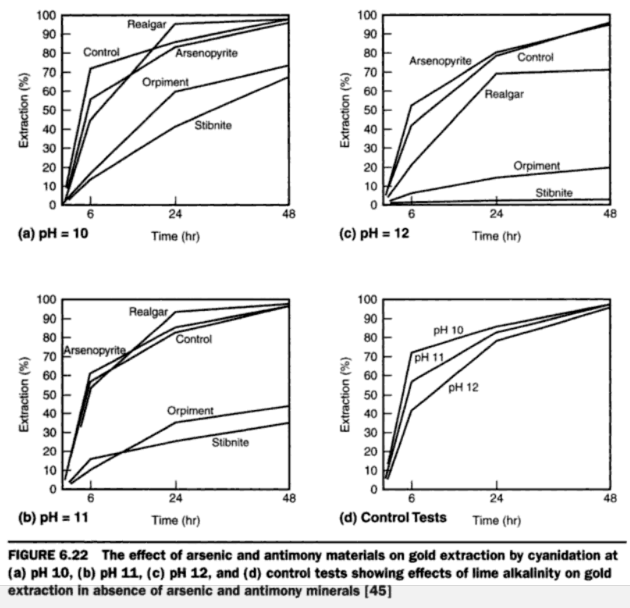 The inhibiting effect of the decomposition products of arsenic and antimony sulphide minerals on gold dissolution is not due primarily to oxygen depletion of the cyanide solutions, nor is it due to the precipitation of gold by these compounds; it is suggested that sulphide decomposition products are attached to the gold surface and interaction of CN ions, oxygen, and gold, is thereby partially prevented. In-Laboratory Preparation of Ore: 1.2 g. of pure gold foil was dissolved in aqua regia and then taken down to low bulk three times with hydrochloric acid to remove the nitric acid. The solution was diluted to 400 ml. with water. 33 g. of minus 10 plus 24 mesh activated charcoal were added and the solution was stirred for 20 minutes. The carbon was washed three times by decantation and dried; it was mixed with 400 g. of minus 65 mesh glass sand. The mixture was transferred to a roasting dish and the carbon burnt off at 1900 °F. This material assayed 2.47 mg. of gold per g. Weighed amounts of this high grade mixture were added to glass sand to make the synthetic gold ore used in this investigation. A microscopical examination of the gold quartz mixture showed the metallic gold particles to be within the size range of 90 to 30 microns; many of the larger particles had a filigree appearance. Glass Sand: The glass sand used to dilute the rich gold mixture analysed 98.4% SiO2 and 0.6 per cent Fe, the latter occurring mostly as Fe2O3. 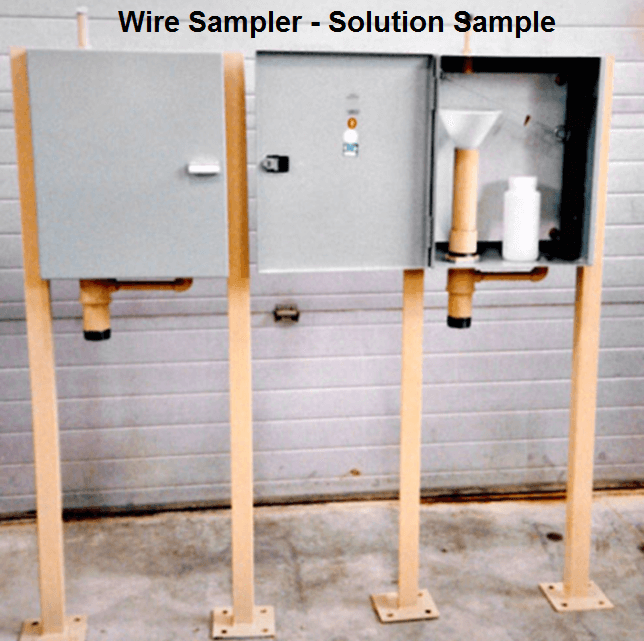 In each test a 400 g. charge of this material was ground for 10 minutes at 57% solids in a laboratory steel rod mill. After grinding, 75% passed through a 200 mesh screen. Minerals: Samples of orpiment, realgar, arsenopyrite, and stibnite were obtained. Each mineral was crushed in rolls to minus 10 mesh and screensized. The plus 200- mesh material was stage-ground wet in a pebble mill. After each grinding the plus 200 mesh material was returned to the pebble mill for further grinding. The object of this procedure was to obtain as much minus 200 plus 325 mesh material as possible for subsequent test work. The minerals were examined under the microscope to identify the diluent minerals. Arsenopyrite: No sulphide mineral other than arsenopyrite was observed. The gangue minerals were biotite, tourmaline, quartz, and feldspar. Realgar: The gangue consisted largely of quartz. A small amount of pyrite was observed. An occasional grain of orpiment was noted. Orpiment: The small amount of gangue present was mostly quartz. Stibnite: Quartz and carbonate, in about equal amounts, constituted the gangue. In general, the mineral specimens examined were fairly pure apart from the gangue constituents; the latter, however, would be considered comparatively inert in cyanide solutions. #1 1,200 ml. of 0.05 per cent NaCN solution, pH 10.2, was transferred to a 5 gal. bottle. A weighed amount of the mineral under investigation was added and a stopper having a 3/8″ hole inserted into the neck. The bottle was agitated on rolls for 3 hours. During this period the pH of the solution varied between 10.2 and 10.0. No alkali additions were needed to maintain the pH at 10.0. At the end of three hours the contents of the bottle were filtered by vacuum. #2 The same procedure was followed as in #1, except that the time of agitation was increased to six hours. #3 1,200 ml. of lime water (0.11%t CaO, pH 12.3) was transferred to a 5 gal. bottle and sodium cyanide added to give 0.05% NaCN. The same amount of mineral as used in #1 and 2 was added. The bottle was agitated on rolls for three hours. During this period calcium hydroxide was added as required to maintain the pH at close to 12. #4 Same as #3, but the time of agitation was increased to six hours. 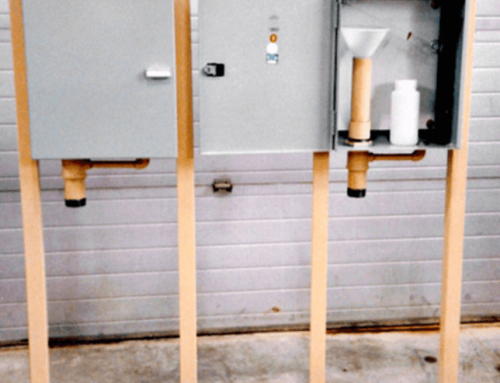 Qualitative tests on the cyanide solutions after contact with orpiment and realgar showed the presence of thioarsenite, soluble sulphide, thiocyanate, and thiosulphate. In the case of stibnite, thioantimonite, soluble sulphide, thiocyanate, ann thiosulphate were found. With arsenopyrite no thioarsenite or soluble sulphide was detected. The quantitative analysis of these solutions for thioarsenite (or thioantimonite), soluble sulphide, and thiosulphate in the presence of one another introduced complex analytical problems. This is particularly true where speedy methods of analysis are essential owing to possible rapid decomposition of the compounds sought for. Therefore, rather than try to differentiate between sulphur existing as S= and AsS3=- (or SbS3=-) the total sulphide sulphur was determined. Thiosulphate was not determined quantitatively, because the effect of this salt on gold dissolution has been shown to be negligible. 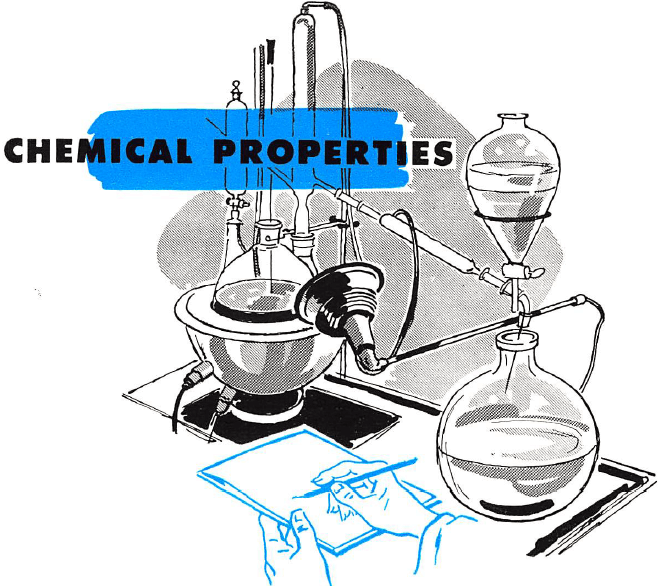 All solutions were analysed for total sulphur, total sulphide sulphur, total arsenic or antimony, and thiocyanate. 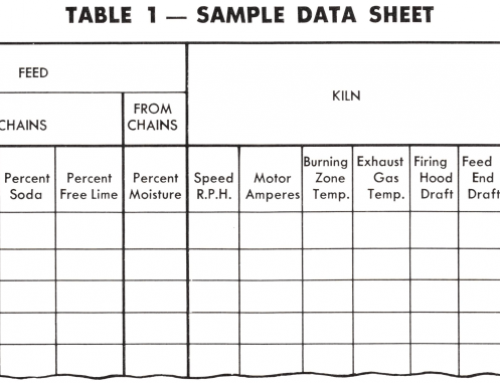 The extent of mineral decomposition in each test was measured by the total sulphur content of the cyanide solution after contact with the mineral, and this figure calculated as a percentage of the total amount of sulphur in the mineral used for each test. The total arsenic, or antimony, in solution could not be used as a measure of mineral decomposition, because in decomposing, relatively insoluble calcium arsenites or antimonites are formed and thrown out of solution. This was particularly noticeable in the case of orpiment at pH 12; the yellow color of this mineral had almost disappeared at the end of the six-hour test, leaving a white residue. In order to determine whether there was any oxidation of arsenite to arsenate or antimonite to antimonate during decomposition of the respective minerals the following tests were run: Portions of minus 325-mesh orpiment and stibnite were agitated in 0.05% NaCN solutions saturated with lime for 48 hours under similar conditions of aeration as for the previous tests. At the end of this period decomposition of the minerals was virtually complete. The almost white residues were filtered off and washed. They were assayed for total arsenic and trivalent arsenic in the case of orpiment, and for total antimony and trivalent antimony in the case of stibnite. From these assays the relative proportions of arsenite to arsenate, and of antimonite to antimonate were found. In the case of orpiment the proportions were 75% arsenite to 25% arsenate, while with stibnite the figures were 66% antimonite to 34% antimonate. Thus, some oxidation of calcium arsenite and calcium antimonite takes place during the decomposition of orpiment and stibnite respectively in cyanide solutions. From these results it may be noted that of the arsenic and antimony minerals tested, orpiment was the most readily decomposed in alkaline cyanide solutions; this held true for high and low pH, although at pH 12 the decomposition was about five times what it was at pH 10. Decomposition decreased in the order orpiment, stibnite, realgar, and arsenopyrite. In the case of arsenopyrite the decomposition was slight even at pH 12. At pH 10 the only solutions showing high total sulphide sulphur content were those which had been in contact with orpiment; those from the realgar and stibnite tests showed only traces. At pH 12 the total sulphide sulphur content of all solutions, other than those from the arsenopyrite tests, was high; the orpiment solutions analysed 0.033%, the realgar 0.0035%, and the stibnite 0.007% total sulphide sulphur. 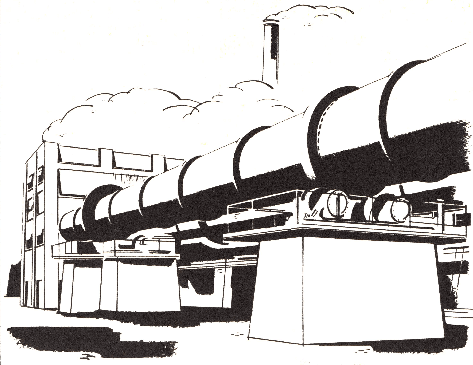 A 400-g. charge of glass sand was ground for 10 minutes at 57% solids in a laboratory steel rod mill. The screen analysis showed 75% minus 200-mesh. The pulp was transferred to a 5-gal. bottle and diluted to 25% solids with water. Dry Ca(0H)2 was added in staged amounts, followed by agitation on rolls, until the desired pH was reached. This took about 30 minutes. 1.5 g. of the rich gold-quartz mixture containing close to 3.7 mg. of gold was added; the synthetic gold-quartz ore thus contained 0.27 oz. (5.4 dwt.) gold per short ton. Then, sufficient minus 200 plus 325-mesh arsenic or antimony mineral was added so that the synthetic ore analysed 0.25% As, or 0.25% Sb as the case might be. 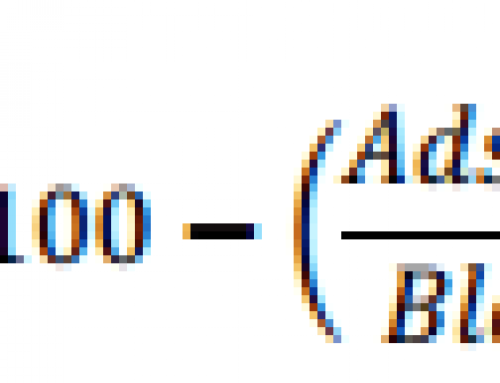 Finally, 0.62 g. of 96% —98 per cent sodium cyanide was added—i.e., equivalent to 0.05% NaCN in the solution. A stopper having a 3/8″ opening was inserted into the neck of the 5-gal. bottle, which was then agitated on rolls for a definite period. During this time pH and cyanide content were checked and additions made to maintain the desired conditions. The pulp was filtered and washed. The dried residue was assayed for gold content, while the solution was assayed for gold, total sulphur, total sulphide sulphur, arsenic (or antimony), and thiocyanate. On referring to the various curves it may be noted that arsenopyrite had very little effect on rate of gold dissolution; the extraction curves for pH 10, 11, and 12 followed the control curves quite closely. 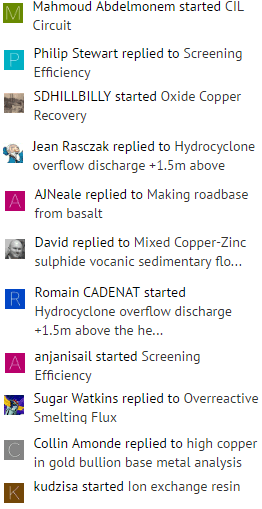 At pH 10 and pH 11 realgar had no inhibiting effect on gold dissolution; at pH 12, however, the effect was quite marked. Gold extraction in 48 hours was 70.5% as compared with 95% for the control test. On referring to the analytical data it may be observed that at pH 12 the soluble sulphide in the pregnant solutions from the realgar tests was 0.0002% . (By the colorimetric method of analysis, as little as 0.00002% soluble sulphide can be detected.) Where the effect of realgar was negligible of gold dissolution—i.e., at pH 10 and 11—the amounts of soluble sulphide in the pregnant solutions were too small to be detected by the method of analysis. Thus, when cyaniding a gold ore containing realgar, safe practice would be to maintain the pH of the cyanide solutions at not more than 11. At all pH values the detrimental effects of orpiment, and particularly stibnite, were very pronounced. As the alkalinity increased the more marked were the inhibiting effects of the minerals on gold dissolution. With stibnite in the ore only 1.6% of the gold was extracted in 48 hours at pH 12, while the parallel test with orpiment showed 18.7% extraction; the control test showed 95% gold extraction under similar time and alkalinity conditions. For each mineral, gold extraction increased with decreasing total soluble sulphide content. However, the decomposition products of stibnite seemed to exert a greater inhibiting effect on gold dissolution than those of orpiment.